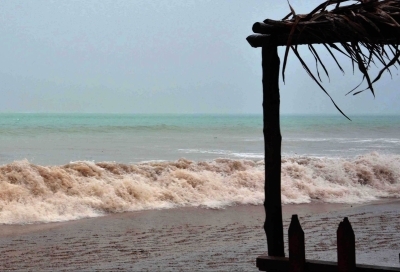 Tropical storm Katia left at least two people dead in Mexico’s Gulf Coast state of Veracruz and threatened to inflict more landslides and flooding from heavy rains and overflowing rivers, Governor Miguel Angel Yunes said on Saturday. Both deaths occurred in the state capital Xalapa, after rains sparked a mudslide in the city’s Luis Donaldo Colosio district, Xinhua cited the Governor as saying. “Everyone who lives in an area at risk of landslides must vacate their homes, because it will continue to rain, the ground is getting softer and we should not run risks,” said Yunes. Authorities have set up 84 shelters in 58 towns in recent hours, where a total of 2,886 residents from high risk areas are taking refuge, he added. So far, some 254 homes have been damaged from flooding or landslides in 53 towns. Veracruz is home to numerous rivers and is a popular white-water rafting destination. Despite weakening gradually after landing in Mexico on Friday, Katia was expected to keep lashing east-central Mexico with rains for another 24 hours, potentially also affecting the neighboring state of Puebla. Katia — one of three active Atlantic cyclones, along with Irma, is expected to continue on a west-southwest track.